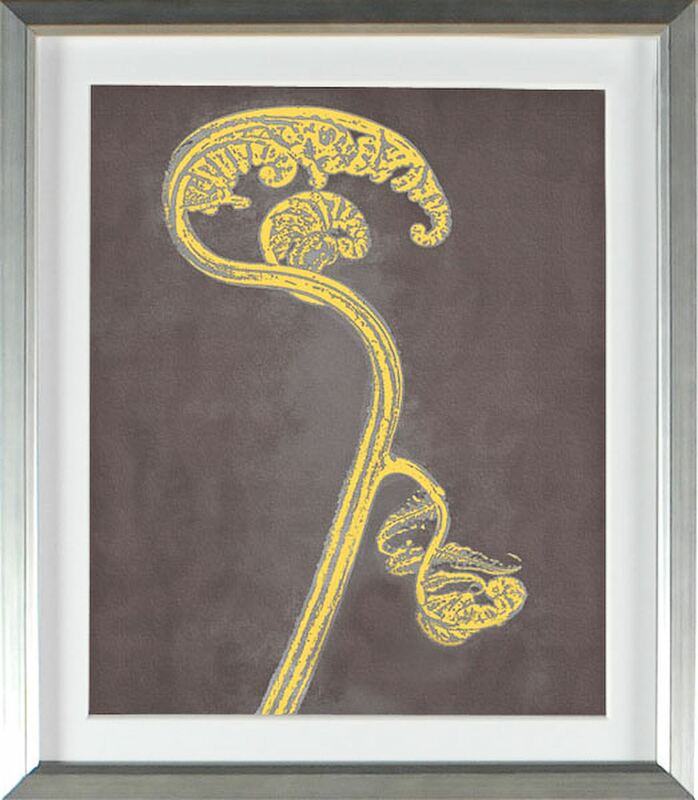 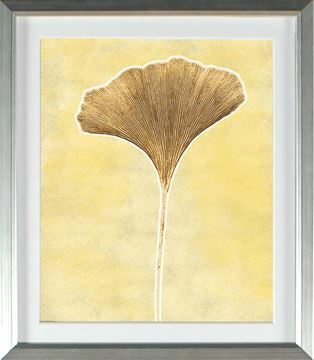 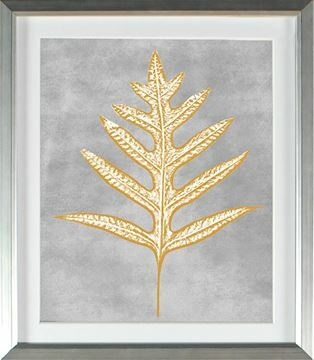 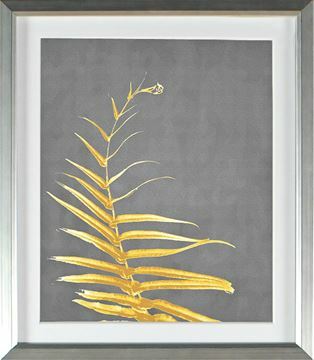 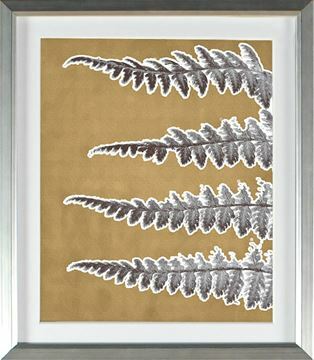 A variety of gray and gold toned fern details available in a series of nine images and two sizes. 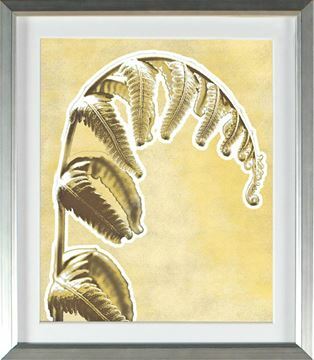 This lovely and versatile series of soft fern frond images can be used for a big impact in full sets of nine, in either small or large sizes, individually, or mixed in gallery style. 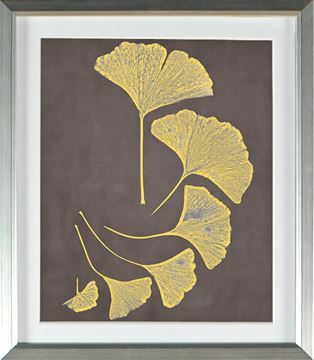 Each is framed with raised matte detail and contemporary silver profile. 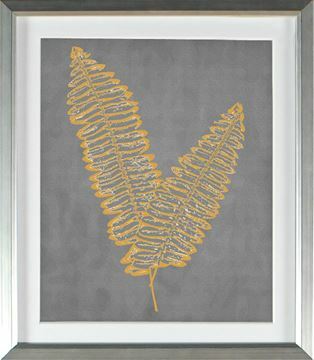 Also available in other colour combinations.